Beat Fatigue remains as alert and wide-eyed as ever as he steps over from Adapted to Lowtemp for a trio of sleazy, glitch funk party packers. 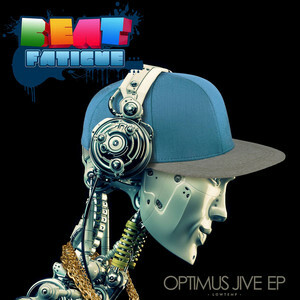 "Optimus Jive" sits somewhere between Griz and Big Gigantic thanks to its generous use of horns. "Straight Up Shuffle" strips the vibe back to lava-like bass, swinging drums and a piano hook so fat it's in danger of being arrested by the obese police. Finally we hit "The Bad Sign". Peppered with cut-up downpitched vocals, it's a quicksand jam that sinks you deeper and deeper into the groove the more you struggle. Nu funk creativity at its finest.